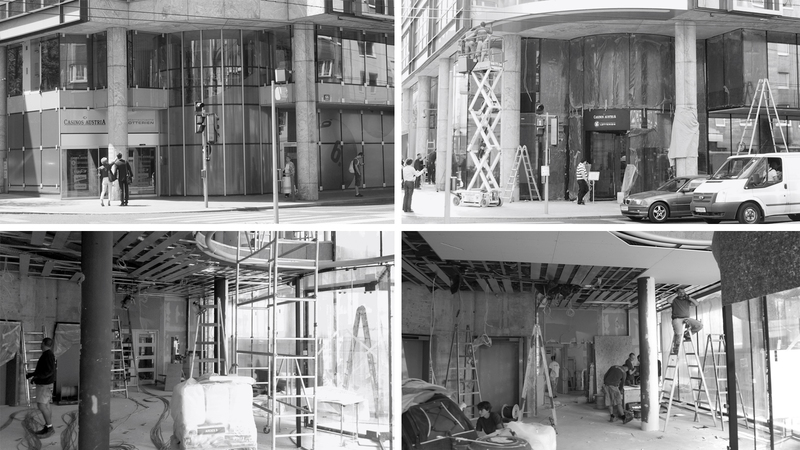 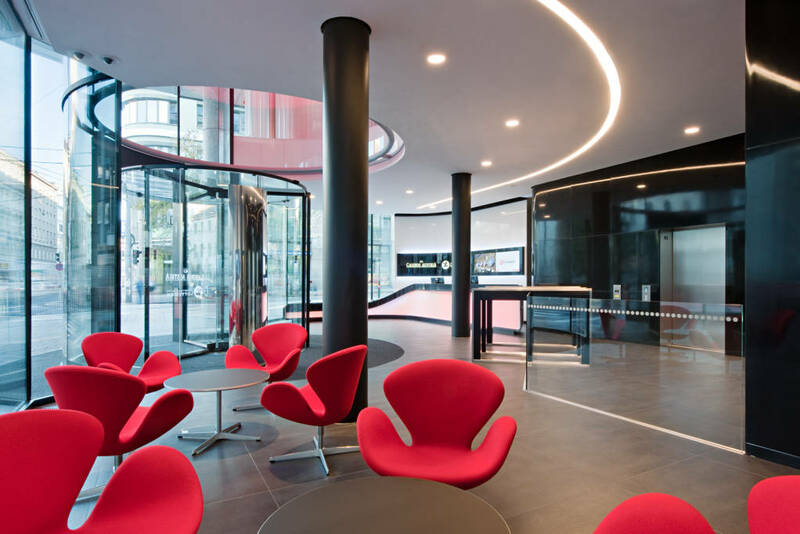 Veech x Veech completely transformed the foyer of this existing headquarters, both internally and externally, to deliver a strong new identity while significantly improving the functionality of the layout. 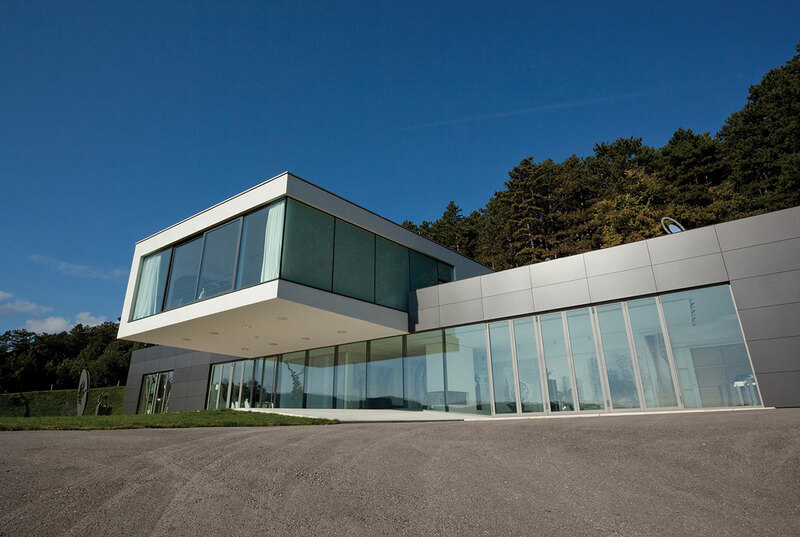 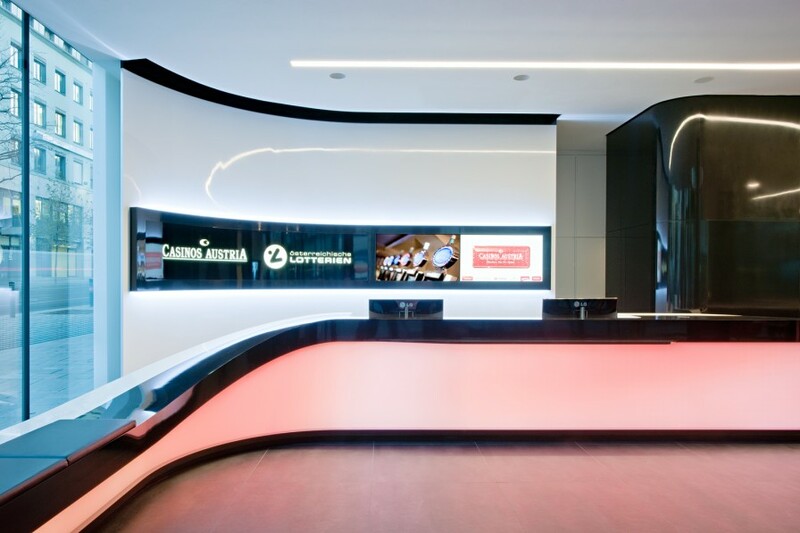 Given that the headquarters for Casinos Austria and Austrian Lotteries had to function not only as an office but additionally as the public face of the organisation, the foyer had to work practically yet also translate the brand into a physical space that was open to the public. 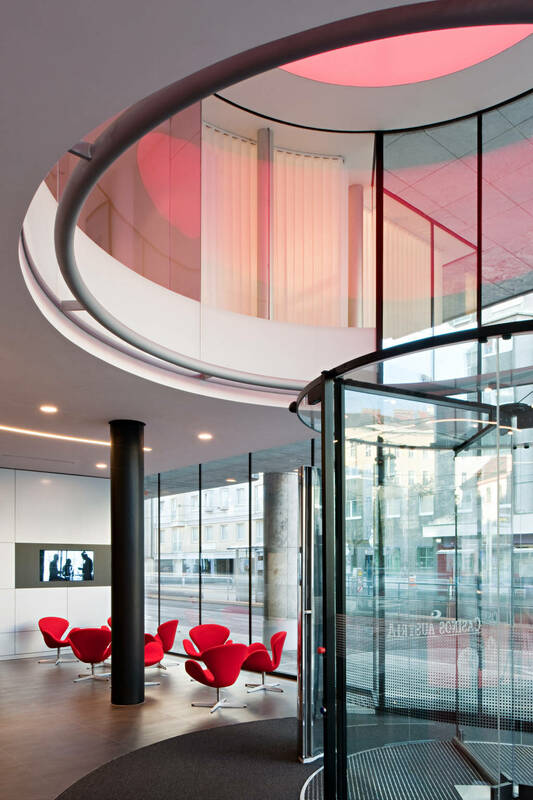 Working with the existing footprint, the foyer was opened up by creating a dramatic 6.6m-high glass atrium, enabling greater permeability between inside and outside and therefore signalling a much more open dialogue with the company’s audience. 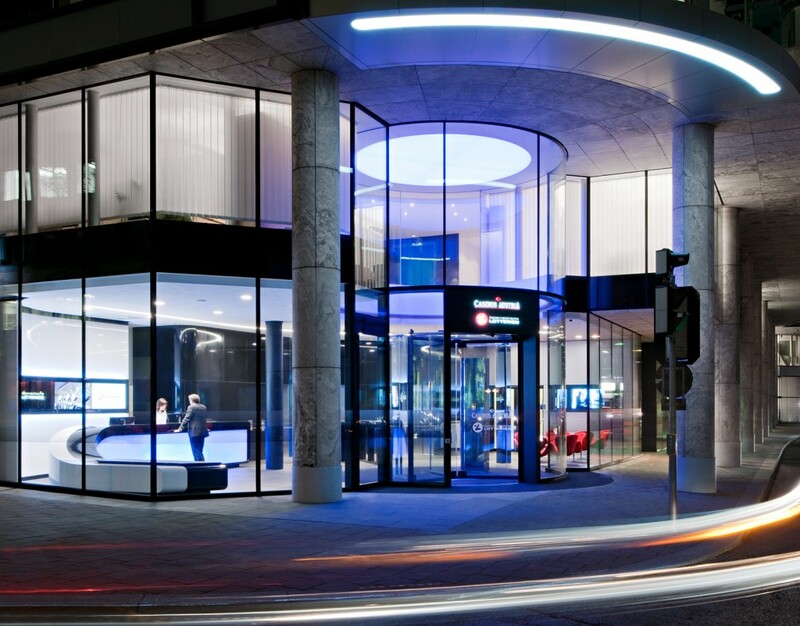 A custom-designed Corian reception desk incorporates complex functional requirements as well as animated LED lighting that is synchronised with the lighting of the cylindrical entrance atrium. 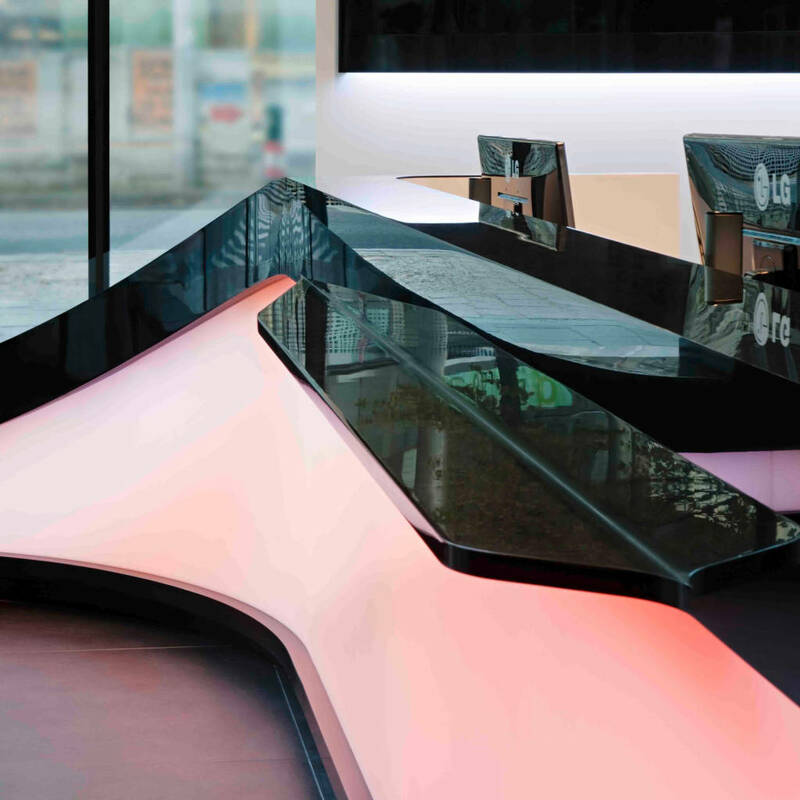 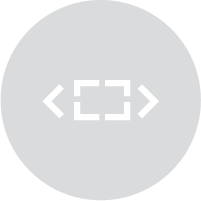 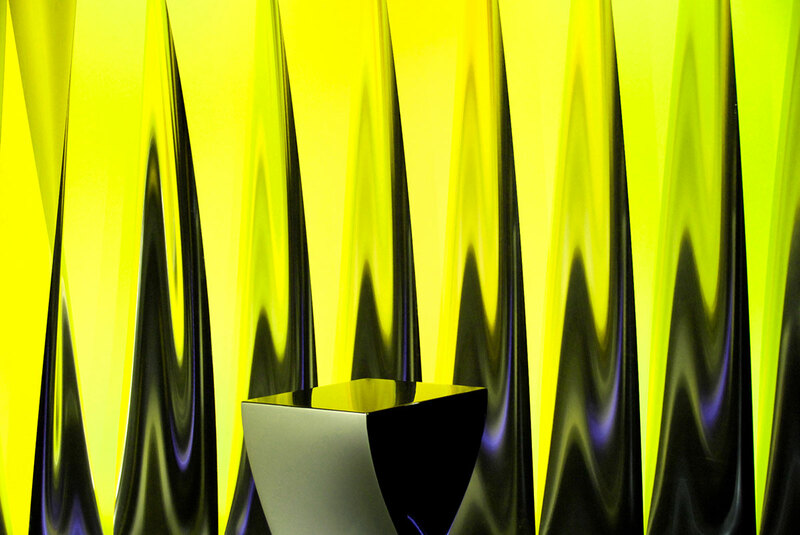 The scheme was nominated for a prestigious German Prize for Lighting Design in 2014, in recognition of Veech x Veech’s innovative custom design solution integrating advanced lighting technologies.